There's not much happening at the vast 0.47 acre Casa Moxie Estates. We've had a very mild winter thus far (I'm told), so much so that we had to mow our lawn last week. We also cut back our ornamental grasses. Gorgeous garden border from Sunset Magazine. If you're like me, when you grew up (in the '60s and '70s) ornamental grasses were not prominently featured in suburban landscapes. Now they seem to be everywhere. Ever wonder how they became popularized? 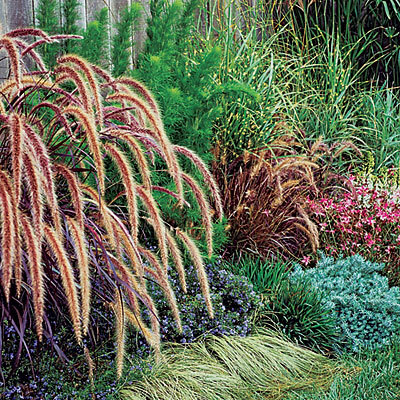 Via the Tulsa Garden Center, it seems that ornamental grasses became widely used in the U.S. thanks to the work of ground-breaking (SWIDT?) landscape architect Wolfgang Oehme (1930-2011). 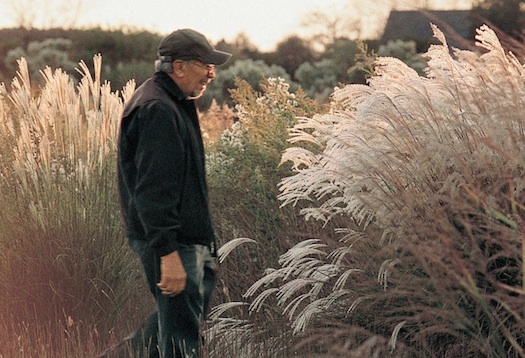 "I like it wild," said Mr. Oehme (pronounced EHR-ma), describing how he marshaled masses of meadowlike grasses and perennials to evoke the feeling of ocean waves. He called the effect a metaphor for the great prairies of the West. For 30 years, Mr. Oehme teamed up with James van Sweden to develop self-sustaining gardens, free of pesticides, that could remain beautiful even as the seasons changed. They planted flowers and bushes not by threes and fives, but by the thousands. Details, like how the wind would move the leaves of different plant species, were studied meticulously. Water, whether trickling or in reflecting pools, became a hallmark. Their work graced embassies, universities and private homes, including Oprah Winfrey's. In Washington, it can be seen at the Treasury Department, the National Gallery of Art, the National Arboretum and the Federal Reserve building. In New York, they created pieces of Battery Park City and Hudson River Park. Their work extended to Minneapolis and West Virginia. You can read about his partner here. Not all ornamental grasses should be cut back, apparently. Here's a helpful article on how, when, and if to prune your grasses. Looking for inspiration on perennials to introduce to your garden, including grasses? You might enjoy this article while you sit inside, waiting for Spring. I highly recommend one of the plants mentioned in that article, Cranesbill It's done great for us in our gardens, from Indiana to Utah. (left) Cranesbill's "spikes" provided inspiration for the plant's name. (right) A sandhill crane. Hello, Horde. How are things going? We got some real rain this week. Not anything like in the East. We also got some tule fog, worse than at any time during the drought. With the weather and other strange stuff going on in the world, I thought it might be a good time to discuss a strange old fairy tale. Do you remember learning that Rapunzel was named after a garden plant craved by her mother during pregnancy? It must have been something special. There is considerable disagreement about what it was, though. I have not done much in the garden lately, but I have winter-sown some seeds of Corn Salad, one of the contenders for the title of "The Real Rapunzel", along with some other hardy greens. I will let you know how it turns out. For today, I decided to look into some of the other plants called "Rapunzel" as well. Corn salad (field salad, mache, Rapunzel, etc.) was not always fancy. It was once only a weed in grain fields, gathered by peasants for salad. In Old English "corn" means a staple grain like wheat or rye. It was introduced to high society by the Royal Gardener to Louis XIV. It has long been popular in Europe. 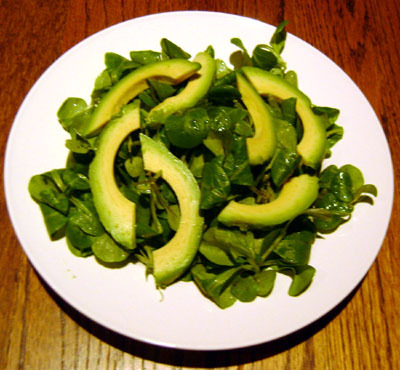 In recent decades has been used by fancy chefs in the USA for winter and spring salads. Gardeners have grown it here for a much longer time for winter greens, and it has escaped cultivation on both the east and west coasts. When grown outdoors, it often has an aromatic, nutty flavor. 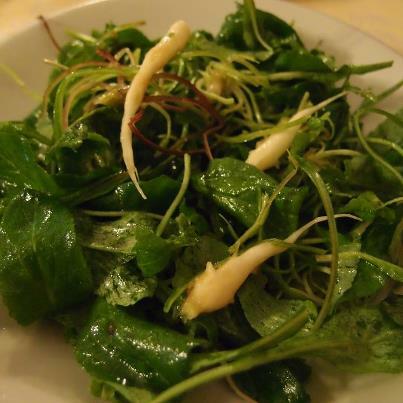 Grown as a winter or early spring green, field salad (Valerianella locusta) is sold in Germany as a whole plant, often with the small main root attached. 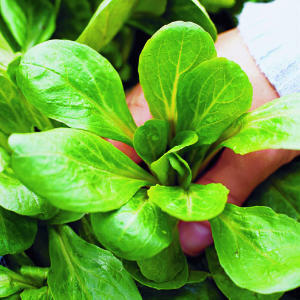 Field salad grows in a loose rosette and is harvested two to three months after planting. Field salad is also famously known as Rapunzel, the vitamin-rich food that cost a peasant family their only daughter in the Grimm Brothers Fairy tale. . . . It resists frosts to -4 deg F (-20 deg C) and can be harvested well into the winter if planted August through September. If planted later, it survives through the winter and can be harvested in the spring. Pick it after the frost is gone in the morning, or it will wilt. . .
Several small-seeded cultivars are noted for their extreme cold-hardiness. If planting for spring, choose one of the more heat-tolerant large-seeded cultivars. It is suitable for containers outdoors. When grown in a greenhouse or under lights, baby-leaf corn salad can be harvested in 18 days. If grown during mild winters, say in Northern Florida, the plants will keep producing if you harvest just the outer leaves with scissors. 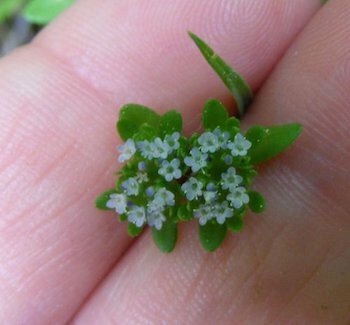 When the plants bolt in the spring, you can eat the tiny silvery-blue flowers and their stems. The seeds have air pockets that help them blow to new locations in the wind. If you allow corn salad to self-sow, it will likely show up in new locations in the garden. The mild flavor and tender texture of the leaves contrast nicely with more bracing winter greens like radicchio, endive, arugula and mustards. Try it with a mustard vinaigrette or with Pennsylvania Dutch Hot Bacon Dressing. Corn salad is also featured in many salad recipes with root vegetables, especially beets. But I really like the idea of pairing it with avocados. 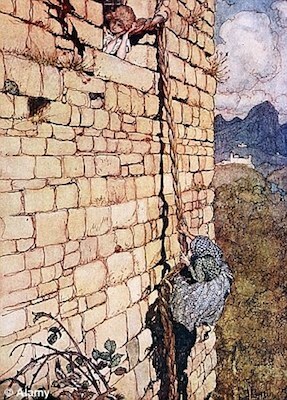 The name "Rapunzel" may be related to "Rampion". The most familiar plant that goes by this name is a bellflower in the genus Campanula. 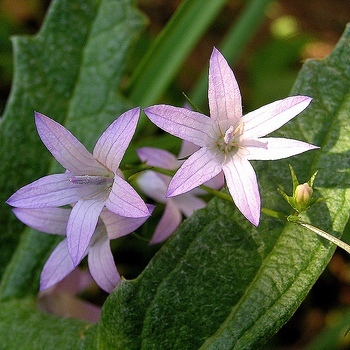 The species name of Campanula rapunculus means "little turnip". More on this plant later. Plants in related genera which are also called "Rampion" include some members of the genus Phyteuma and also Physoplexus comosa, (Devils Claw), an interesting little alpine plant grown by competitive alpine plant enthusiasts. Phyteuma spicatum, AKA Spiked Rampion or White Devils Claw, is another candidate for the "real" Rapunzel. It was known for its medicinal properties. Efforts are underway to keep it from disappearing from the UK. Its relationship to the Rapunzel fairy tale is highlighted. I have only found confirmation that one species of Phyteuma tastes good. 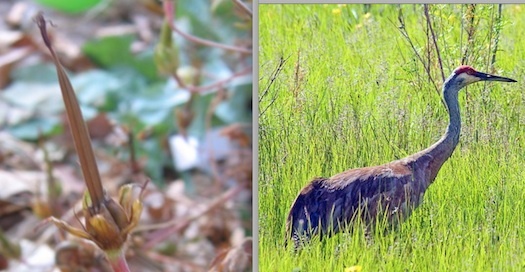 Alpine shepherds eat the sweet flowers of P. orbiculare as snacks and use the leaves for salads. This could be a plant to keep in mind if you are preparing for the Zombie Apocalypse or for a revival of the Sound of Music. But among non-shepherds (or non-goatherds), Campanula rapunculus seems to be the only kind of Rampion that is still cultivated for food. It is generally a biennial. A rosette of leaves and a storage root form the first year and flowering stems appear the second year. The flowers are attractive. In addition to using the roots and leaves raw for winter salads, larger roots can be boiled and served with sauce. The leaves can also be cooked and eaten like spinach during summer and fall. Young flower shoots can be blanched and eaten like asparagus. In Italy, they prepare young Raponzoli (Rapunzel) very simply: "Just forage and clean roots and greens. Then dress with olive oil, vinegar, and salt." Paul O. Zelinsky, who adapted and illustrated a version of Rapunzel, grew some in containers while he was illustrating the book. He did not get roots, but he harvested the leaves for salads. He noted that seeds from different sources seemed to produce leaves with different flavors. He also noted that the seeds of this plant are so tiny, like dust, that you need to take care when planting them. Tiny seeds are often mixed with fine, dry sand before planting. You can also make up an envelope of Knox gelatin half-strength (4 cups of water) so it is like thick egg whites after chilling. Mix the seeds with some of the gel and spoon them out where you want them, or squirt them out with a ketchup dispenser or similar squeeze bottle. If you are more interested in the ornamental qualities of C. rapunculus than in eating it, Sakata has developed an annual-flowering cultivar called Heavenly Blue that you might see in nurseries or in florist shops. Makes a good cut flower. It is daylength-sensitive, and was apparently developed to grow in greenhouses. There is also an edible zombie form of rampion, Campanula rapunculoides. The name means "looks like C. ranunculus." This one is a perennial that is very invasive. Pretty can be evil, too. 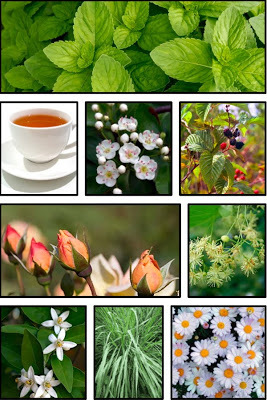 It has naturalized in much of the USA, including Wisconsin. If it appears in your garden, eat it or just dig it out. Not as delicate as it looks. I ran across a site that includes a page on the history and interpretation of the Rapunzel tale. It lists movies, books and TV shows based on the fairy tale. A modern version by the author of the page was also included. It got me thinking about ways the tale of Rapunzel might have been different if it had been set in America. For one thing, a different plant would have been featured. 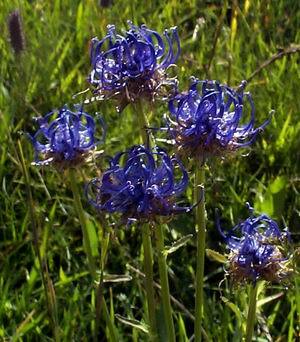 America has its own native plant that is sometimes called "rampion". Its more typical name is "ramps" and it is related to onions and garlic. It is not just for salads. It can also be included in hearty, Moron Lifestyle dishes like ramps, potatoes and bacon. The city of Chicago probably got its name from this plant. Allium tricoccum, better known as ramps or wild leeks, are available at farmers markets for just a few weeks in early spring, and are eagerly snapped up by chefs and home cooks alike. . . .
"In recent history, hunters and fishermen ate most of the ramps," says Jeanine Davis, an associate professor of horticultural science at North Carolina State University, who has been studying ramps since 1997. "When my husband and his friends went trout fishing in early spring, they picked ramps, fried them up with potatoes and eggs, and ate them morning, noon, and night. Unfortunately, ramps have a notorious smell that can emanate from your skin, so he would have to sleep on the couch for several days after he got back." This woodland cooking tradition may explain fancier recipes like rainbow trout with spring morels and wild ramps. 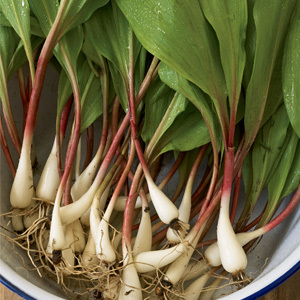 If you are a forager, here are directions for harvesting wild ramps. Sometimes bunches of the leaves without roots are offered in farmers markets. They are pricey even without the roots. Maybe you could grow a few. The typical onion-like flowers of ramps appear after the leaves are gone, sometimes showing up with the leaves of unrelated, later-emerging woodland plants. Have you been looking for a veggie to plant in part shade? If you have a deciduous tree and the moist soil ramps prefer, Pinetree ships plants in March and April. Have fun dreaming about your next garden season. Y-not: Thanks KT! Very restful.